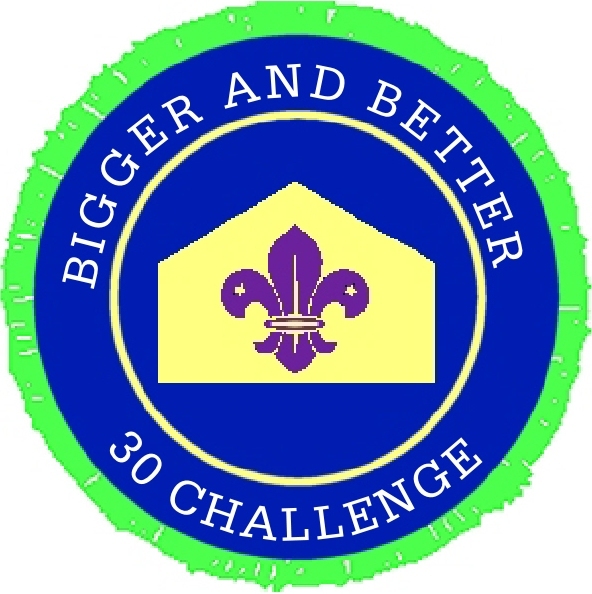 The 30 Challenge Badge is unique to the 1st Winchester Scout Group. 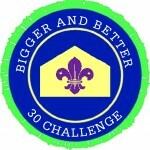 Only members of the 1st can wear this badge on our uniform and even then, only if you’ve met the challenge (see below). Since launching this scheme, an anonymous donor has offered to match every pound raised by the young people with a further 50p. This is a very generous gesture for which we’re very grateful. 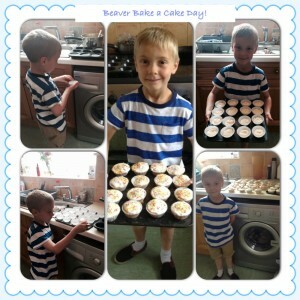 Beavers, Cubs and Scouts, Every pound you raise is worth £1.50 so let’s see some imaginative ideas. The challenge is to design, plan and implement a fundraising event or activity which creates at least £30.00 towards the Bigger & Better Campaign. This is an individual activity, if you work in pairs then you’ll need to raise proportionally more money. After all, it is a fundraising activity. How you raise the money is completely up to you so long as it’s legal. You should discuss your ideas with your leader or parents before going ahead. Arrange a collection at church, sports club etc. Ask your teacher if your class can sponsor you to wear your uniform (or maybe a onesie) to school for a day. When you’ve completed your challenge, tell your leader what you did and give them the money (preferably a cheque made payable to 1st Winchester Scout Group). We have permission from the County Commissioner for you to wear this unique badge on your uniform and it should be worn at the bottom of your left sleeve. This is a unique opportunity to gain and wear a badge that no other Group will ever have. This Beaver made a ton of cakes and then sold them to family and friends. Delicious and fun!